– Quantum Break: up to 35% faster performance using Quantum Break on Radeon™ R9 Fury X than with Radeon Software Crimson Edition 16.3.2(1). – Frame rate capping issues experienced in some DirectX®12 applications is resolved. – Hitman may experience flickering when played in DirectX® 11 mode using high game shadow settings. 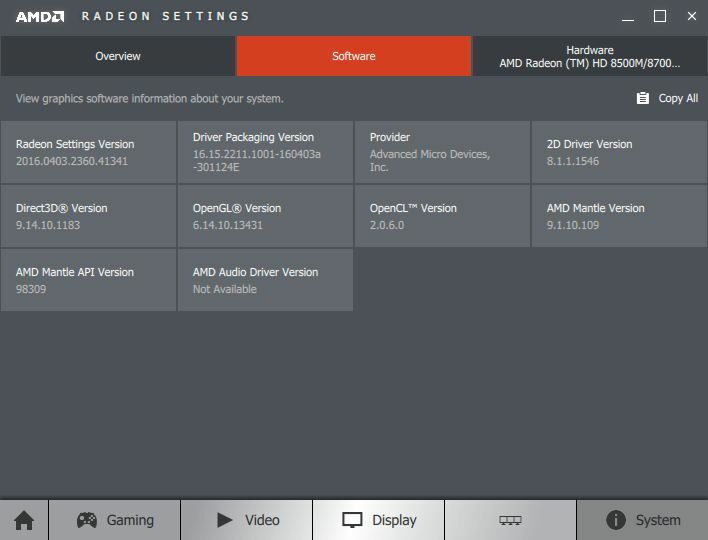 AMD Crimson 16.4.1 brings the same OpenGL 4.5 level than Crimson 15.12.